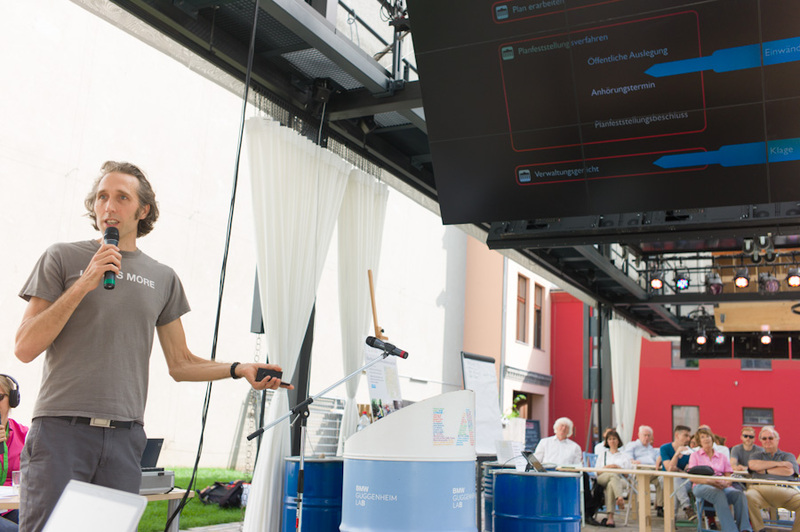 A few weeks ago the Guggenheim LAB set up shop in Berlin. 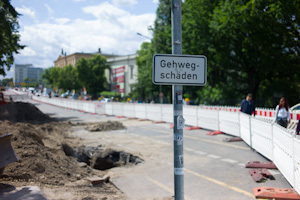 They are running an ambitious program in their temporary Prenzlauerberg site throughout the rest of July 2012. On Saturday I gave a short talk titled Invalid Street, about the Bürgerinitiative Invalidenstrasse (BII), and our efforts to influence the planning processes behind Berlin's misguided efforts to turn this two lane street into a four lane street. The talk was part of the Marathon of Transformation, a day long event organized by Rachel Smith. The speakers and workshops focused on how people have influenced our urban environment through specific projects. Invalid Street focused on the Planfeststellungsverfahren, the legal framework behind all major infrastructure projects in Germany. This framework is totally unsuitable for modern urban planning because it is designed to prevent citizen participation. This system prevents sensitive solutions to complex urban problems, and must be updated. I will write a more detailed post about the BII, and ideas of how to improve this outdated prestructure at a later date. Christine McLaren has also published an interview about the Tripod System on the Guggenheim LAB blog. Thanks again to the Lab for providing this platform.